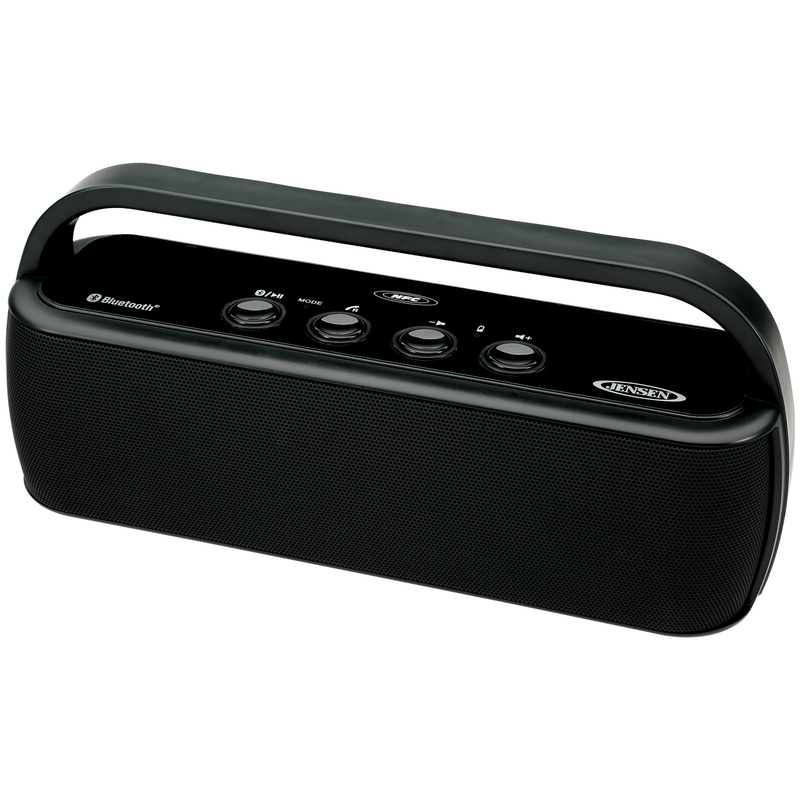 Listen to your favorite tunes with the JENSEN® SMPS-627 Bluetooth® Portable Wireless Stereo Speaker. You've never heard sound like this coming from such a compact device. 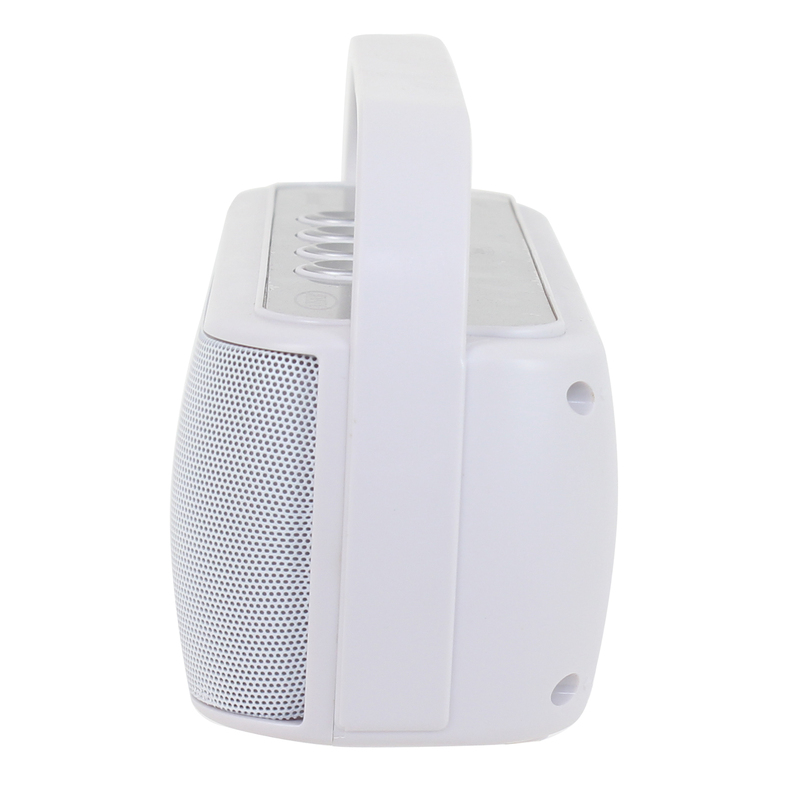 This portable speaker has Near Field Communication (NFC) for easy pairing and a built-in handle for easy toting. Take it with you or leave it at home. 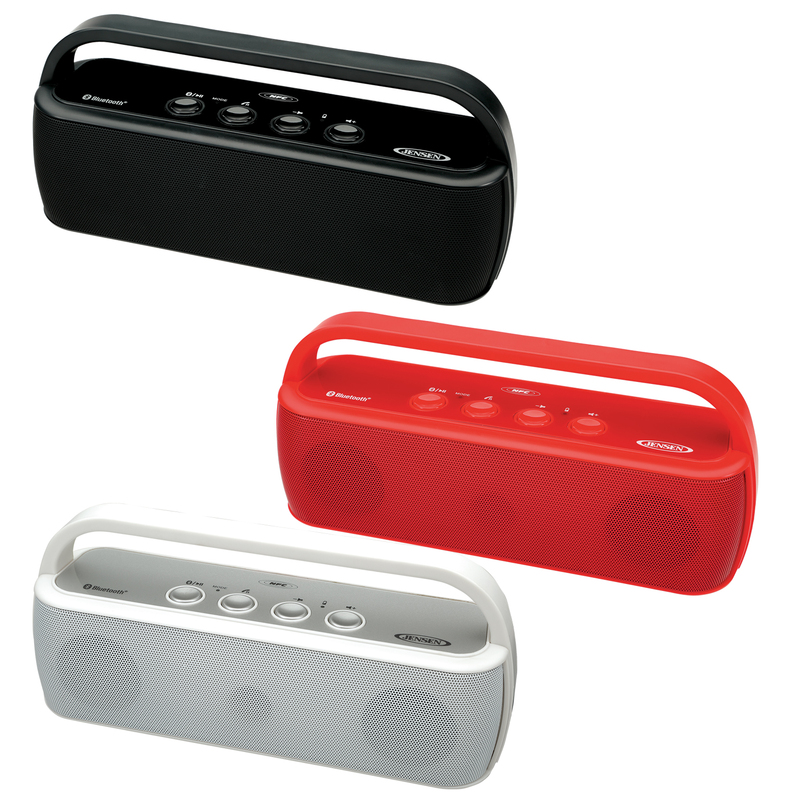 The SMPS-627 comes with a built-in microphone so the device can be used as a speakerphone with your Bluetooth-enabled phone. Another convenient feature is an auxiliary input jack for connecting your iPod®, MP3, or other digital audio players. Choose from 3 different colors: Black, Red, or White. 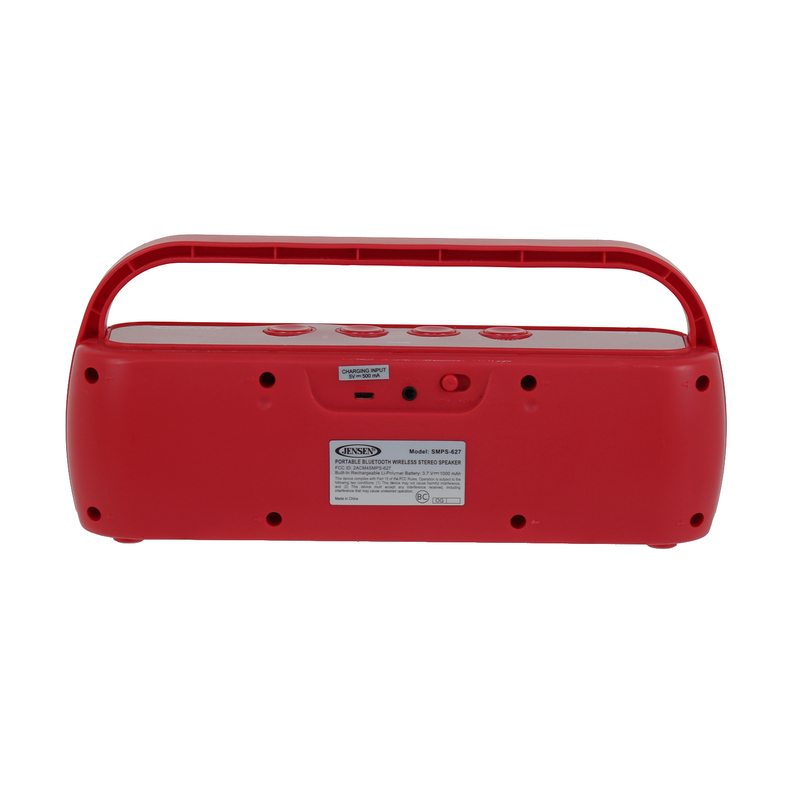 This device is powered by a USB charger cable (included) and rechargeable lithium battery.